Scott N. Miller/smiller@vaildaily.comMoe's Original Bar-B-Que recently moved its Eagle store from above the bowling alley to this stand-alone restaurant on U.S. Highway 6.
Business name: Moe’s Original Bar-B-Que. Location: Lionshead Village and Hwy 6 Eagle. Owners: Jeff Kennedy, Ben Gilbert and Mike Fernandez. Contact info: Call Jeff at 970-376-RIBS. What goods or services do you provide? 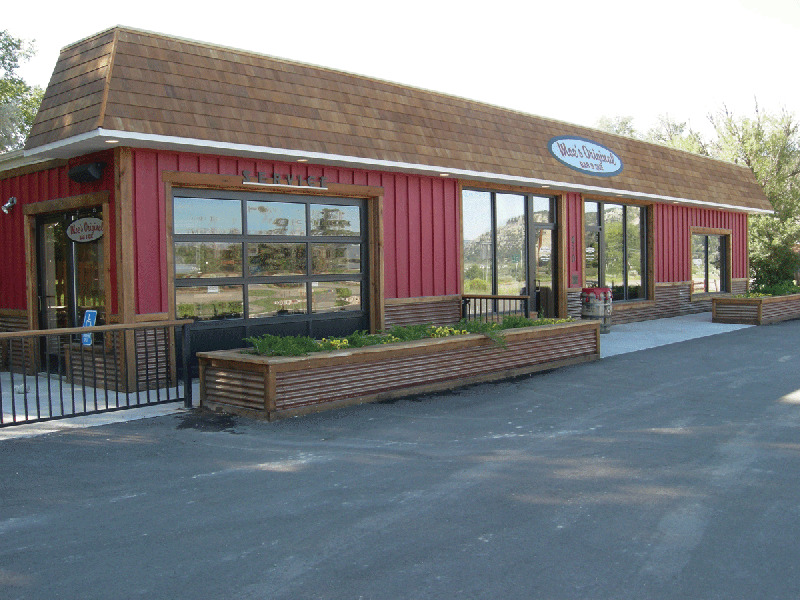 Southern Bar-B-Que and Soulfood, at the restaurant or anywhere else you want to throw a party. What’s new or exciting at your place? The patio, the kids’ corner, and the bar. What strategy do you use to differentiate your business from your competition? We cook all meats and sides fresh daily. Even down south, this is rare. We combine our two favorite types of food: Bar-B-Que and Soul food. Down South we call it “Meat ‘n Threes.” You pick a meat, three sides, bread, and sweet tea. No Bar-B-Que joints do the extensive choice of sides we do. What philosophy do you follow in dealing with your customers? What can your customers expect from you? We want to engage all customers within the restaurant. We want them to feel like they are coming into our house for a meal. They can expect polite, prompt service with continual effort to provide the best food possible. Tell us a little about your background, education and experience: We are all three college graduates from Alabama and Auburn. Mike has a culinary degree from Johnson and Wales. We have all worked in and managed restaurants since finishing school. What is the most humorous thing that has happened at your business since you opened? At the post-rodeo party a while back we had some Buck Dancin’ goin on the bar.-A cowboy fell off the bar while dancing, knocked a girl down, and the fall pulled her shirt off. Good stuff.